The Industry Awards recognise the best business, training and creative talent in New Zealand’s hair, beauty and barbering industries. 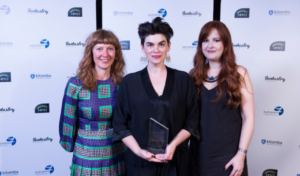 Brought to you by Kitomba Salon & Spa Software, the NZ Association of Registered Hairdressers (NZARH) and the NZ Hair, Beauty and Barbering Industry Training Organisation (HITO), these coveted awards celebrate both individual and team success. With awards for business success, exceptional training, great workplaces, HITO apprentices and creative styling, there’s a category for every hairdresser, barber or beauty therapist to enter. 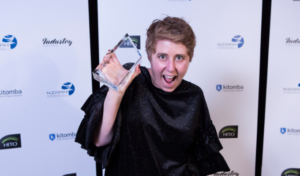 The winners were announced at The Industry Awards event on November 11th at the Cordis Hotel Auckland in The Great Room. Kitomba has helped salons, spas and clinics achieve success since 2002. We want your business to achieve great things. That’s why Kitomba offers so much more than just exceptional salon and spa management software. Kitomba has all the features you need, along with the unbeatable service and support you want. HITO is the Industry Training Organisation for Hairdressing, Barbering and Beauty Therapy. We develop and support HITO apprenticeship and on-job training qualifications for career and business success. As the government-appointed standard setting body, we work with our industries and NZQA to develop qualifications. Our vision is for 100% of people in our industries to be 100% New Zealand qualified. The New Zealand Association of Registered Hairdressers (NZARH) is the umbrella organisation for our regional associations. 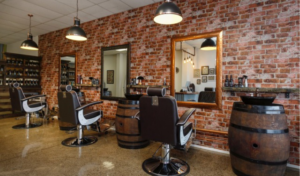 It is run 'by hairdressers for hairdressers' to maintain and grow hairdressing standards.NZARH is the only organisation in New Zealand that represents the needs of hairdressers in business today. All of NZARH's hair salon members have professional, qualified staff to meet New Zealand's highest hairdressing standards.